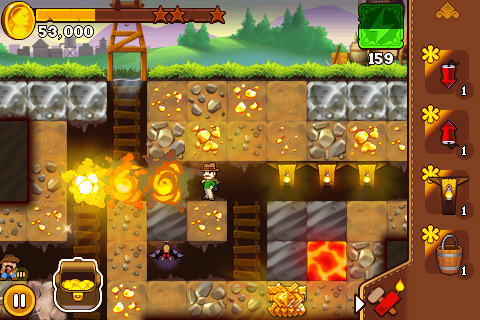 California Gold Rush is fun treasure hunting game. Explore mines full of unexpected twists! On the hunt for gold, artifacts and gems take care to avoid collapses, cave bats and other dangers. Greedy? Find even more gold with store-bought supplies like maps, supports and explosives. This game is free to play. Use the arrow keys or mouse to dig to a desired direction.